Against Nature is the type of store that's worth saving up your pennies for. It stands apart from other shops by offering everything custom, from jewelry to bags to belts. The crowning glory of the place is definitely the bespoke suiting, which is perfected for each customer via a six week process that involves three fittings. 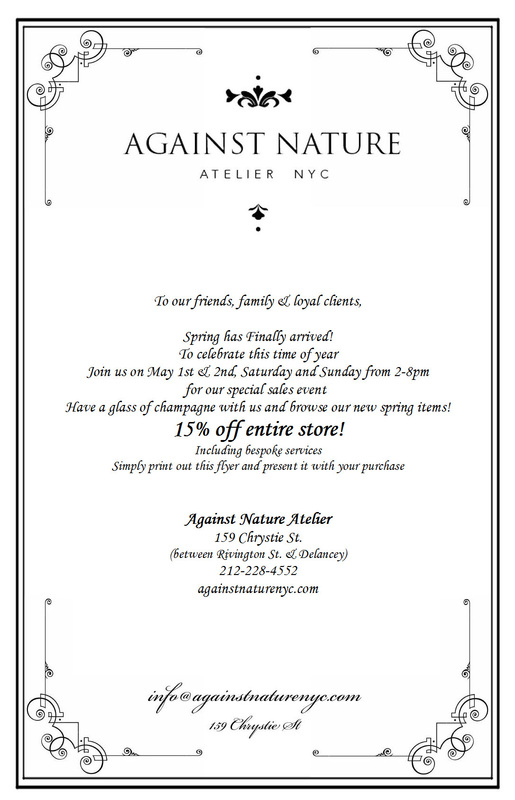 This weekend, Against Nature is offering a 15% discount off their services, and they'll be debuting their new spring items too. Just print out the flyer after the jump to claim, and your custom jobs will cost a bit less.